http://nwhyte.livejournal.com/2591385.html#cutid2It's a jolly good and fairly short read, looking at Bujold's sf and fantasy work (arguing in passing that the Sharing Knife books are really sf rather than fantasy), and also looking at her treatment of culture, characterisation, disability / genetic modification, women / sexuality and war, leadership, and honor. It's a text in dialogue with a lot of other work, including The Vorkosigan Companion, A Reader's Companion to A Civil Campaign, Jo Walton and the author herself. It's always nice when an author you like writes a book you like about a subject you like. 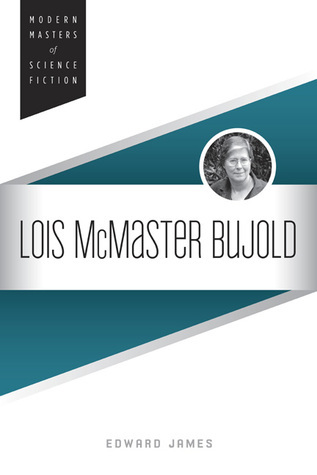 A thoroughly enjoyable look at Bujold's fiction and the lady herself. I found the analysis of the characters in the Vorkosigan series to be both eye-opening and spot on. If you are a fan of Bujold's work, I would urge you to get this, it's great. A solid and interesting look and Bujold and her work, but not one with a huge amount of depth. I felt I already knew a lot of what was here, but it was still an interesting read. A good introduction if you want to know a bit more about the author and themes of her work, but probably not enough if you want to dive really deeply into her text. This is the first in this series that I've read. It turned out to be not quite what I was expecting. I suspect that had I read more of Bujold's work first, it would have been more enjoyable for me. It did make me want to read more of Bujold's work, after which I'll probably give parts of it a re-read. I have no idea how this book would go over for someone who is not a total fan girl, but I really enjoyed it!Although there are some chapters that definitely need to be updated now that gentleman Jole is out. OK, if I can't be reading a Bujold book, reading about Bujold and her characters, world, themes, etc. may be the next best thing.